Investing in tax defaulted property can be profitable and easy. Before you begin, you need to understand how the process works, what to expect, the terms used in the business and what you have to do in order to be successful. Tax defaulted property auctions are held throughout the nation so unpaid property taxes, owed to local governments, can be collected. Every county holds auctions, but every county and every state has different rules. You have to know the rules to be successful. My website Members.TedThomas.com explains in detail what you need to know to be successful investing in tax defaulted property. Training videos, articles and podcasts from experts in this industry tell you everything. You can listen, read and watch as often as you need to. Here are seven things you need to know about tax lien certificate and tax deed investing . This is a personal decision. You have to decide how much you have to invest. You can get started in tax defaulted property investing for as little as $100. A two-part video series on my website, Members.TedThomas.com, explains how to get started with just a few hundred dollars. Many start buying tax lien certificates with just a few hundred dollars, while buying tax deeds at a tax defaulted property auction often requires thousands of dollars. Every state and every county have tax defaulted property sales. Pick a state and then look for a county. Texas has 254 counties, each with its own tax defaulted property auction rules. You need to know the rules for the county you are researching. The Williamson County, Texas, property tax division website explains the rules for auctions there. Williamson County uses a law firm, McCreary, Veselka, Bragg & Allen, to handle the auction. One example of a local rule is “bidders must be present at the tax sale. Bids will not be accepted via mail, phone or internet,” says the County’s website. Travis County, Texas, allows bids by mail or hand-delivered. Bidders also have to fill out a bid form. The differences between these two Texas counties show why you must understand the rules for each county you plan to purchase in for tax defaulted property auctions. Once you decide where to invest, contact that county’s tax office for county-specific information. After you pick a county to invest in, get the list of available properties. Tax defaulted property must be advertised in a local newspaper before the auction. Each state has public notice a website operated by the newspaper association there. Florida has Florida Public Notices. Every tax defaulted property auction notice in the state is listed here. You can search by newspaper name, dates and keywords. Once you get the list of properties, you have to research them. This is a very important step. You have to know if the property is worth buying. The Internet has many tools to help you do property research. My website explains how to check out property. One video tells you how to use real estate websites like Zillow. If you plan to invest in other states, you must know how to use this website. You can also use various street view programs to get a look at the property. Google Earth provides a bird’s eye view and often a street level view. You can also look at the neighborhood with this program. Are all these in good shape and well-maintained? Does the house need work? Work doesn’t mean the house is a bad investment, but you should have an idea of how much work will be needed. Members.TedThomas.com has plenty of instructions for researching property. 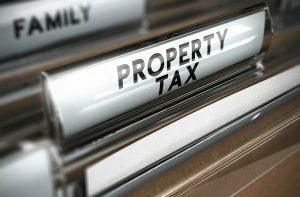 You also need to find out if there are other taxes or liens owed on the property. The local tax office can tell you this. This needs to be a part of your budget. If you don’t pay those other taxes, someone can buy the property away from you at a future auction. Every county can have different rules for its auctions and every state has different rules. Orange County, California, has a Frequently Asked Questions (FAQ) page that tells you how to register for the auction, pay for anything you buy and what you have to do after buying a property. Orange County requires someone to be at the auction in person. “The public auction requires your presence, or that of your representative, to verbally bid on the properties. Anyone wishing to bid on tax sale properties being offered the day of sale must be registered prior to bidding,” the website says. San Bernardino County, California, conducts its tax defaulted property auctions online. You must register. “To be eligible to bid at an auction, you must first register online at https://sbcounty.mytaxsale.com/. Registration is free and you do not need to register solely to view an auction, see results or research property. Bidders must register using proper names,” the instructions page says. All your work won’t matter if you are not at the auction. You must be there in person, or someone representing you is there. If the auction is online, you will need to login to the auction website. If you don’t get a property, don’t worry. These auctions are held around the nation. Every week, many tax defaulted property auctions are held somewhere. Texas has 254 counties, sales are held in most counties every month in Texas. You have to send in the payment and you have to fill out whatever paperwork is required for that specific county. You have to complete the process. Many counties, like Wakulla County, Florida, will bar you from attending future auctions if you don’t do everything to close the sale. In Wakulla County, you also lose your deposit. This is just a brief rundown of the things you need to do to be successful buying at a tax defaulted property auction. My website, Members.TedThomas.com, goes into much greater detail on researching property. When you invest in tax lien certificates, most often the government agency that sold the certificate will collect the taxes from the delinquent taxpayer and send you a check for all your investment plus interest within a few months to a couple of years. If you obtained a tax deed you have one more vital step: SELL. Selling will be covered in another article.